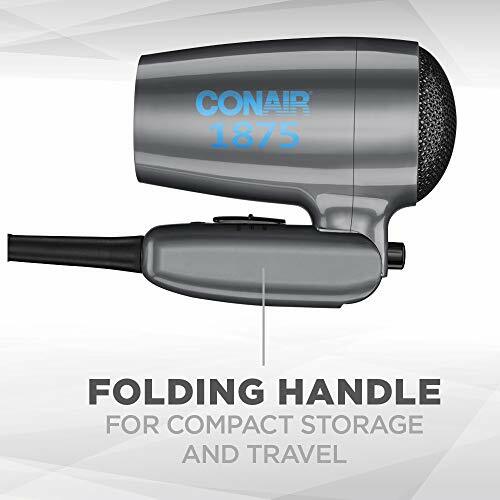 The Conair 1875 Watt Compact Folding Handle Hair Dryer (also makes great Travel Hair Dryer) is conveniently transportable, compact and equipped with dual voltage for worldwide travel. 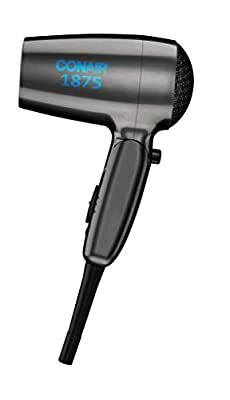 Powerful enough to style hair on the go, this hair dryer features a full 1875 watts for fast drying. 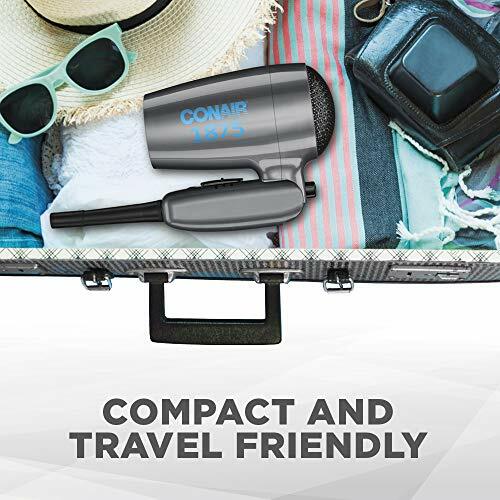 This styling tool has a folding handle that makes it easy to pack in a suitcase, or store in a drawer. 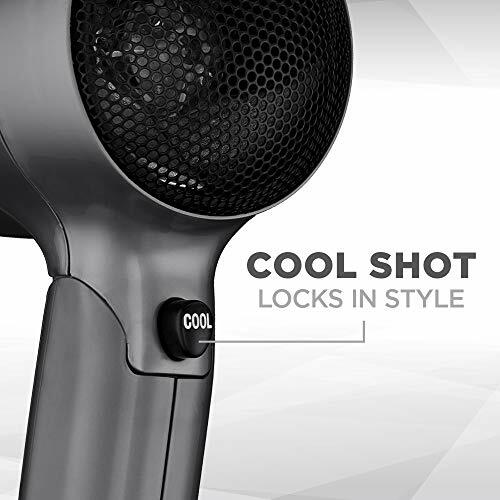 Complete with 2 heat/speed settings to customize your hair drying experience, and 5 foot cord, it also has a cool shot button to lock in your finished style. 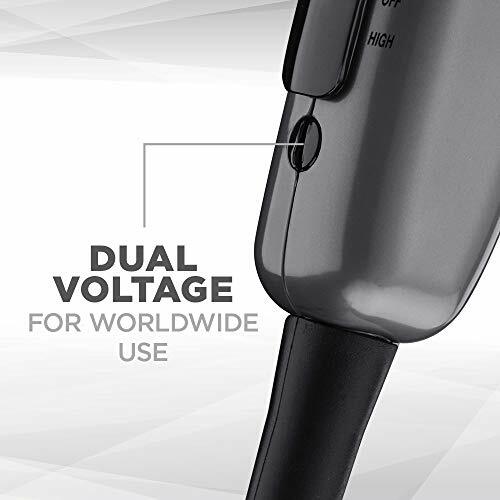 Dual voltage lets you use this dryer at home and globally abroad. 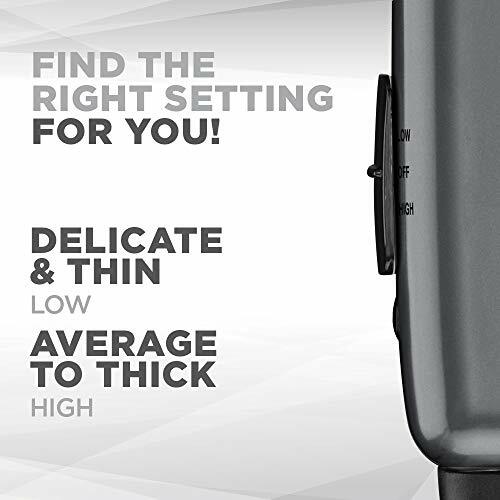 Beauty Spot Inc. is a participant in the Amazon Services LLC Associates Program, an affiliate advertising program designed to provide a means for sites to earn advertising fees by advertising and linking to Amazon.com, Endless.com, MYHABIT.com, SmallParts.com, or AmazonWireless.com. Amazon, the Amazon logo, AmazonSupply, and the AmazonSupply logo are trademarks of Amazon.com, Inc. or its affiliates.